Driving without a license in Statesville, NC is an offense that often carries serious consequences. In North Carolina, any driver who operates a vehicle is require d to possess a valid driver’s license. Drivers who are pulled over and it is discovered that they are driving without a license face serious consequences, depending on the circumstances of the situation. Whether you were fined for driving without a license because you simply left it at home or because you were driving on a suspended license following a DWI conviction, I, W. Sloan Goforth, Attorney at Law, am here to help you navigate the legal process. I realize that the penalties associated with driving without a license can be severe, and I am here to help you mitigate the effects of these consequences. Please keep in mind that the charges for driving without a license in Statesville, North Carolina fall into one of two categories: correctable offenses and willful violations. When you forget to carry your driver’s license with you when you drive, you must later show proof that you hold a valid license to have the citation dismissed. Failure to provide adequate evidence usually leads to fines and other penalties. Comparatively, willful violations, such as driving on a license that is revoked or suspended, are much more serious. When you commit a willful violation, you may be fined and in some cases, charged with a misdemeanor offense. Reach out to me today to find out more about fighting charges for driving without a license and what I can do to help. As your attorney, I will do everything in my power to ensure that your best interests are consistently represented. 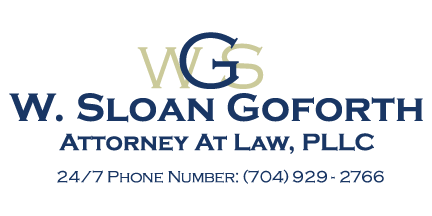 At the office of W. Sloan Goforth, Attorney at Law, we can help with legal cases regarding driving without a license for residents of Statesville, Troutman, Taylorsville, Mocksville, Mooresville, Hickory, Iredell County, Alexander County, and Davie County, North Carolina.